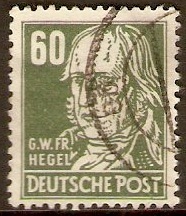 Used 1948 60pf Dark green - Portraits Series. SGR46. 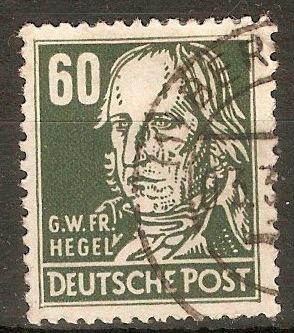 Germany 1948 60pf Dark green - Portraits Series. SGR46. 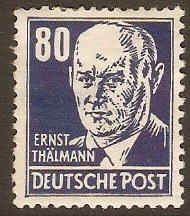 Some damage 1948 80pf Blackish blue - Portraits Series. SGR47. NOTE: Small patch of torn gum. 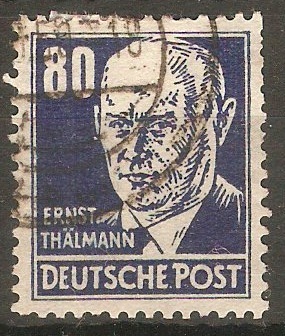 Fine used 1948 80pf Blackish blue - Portraits Series. SGR47. 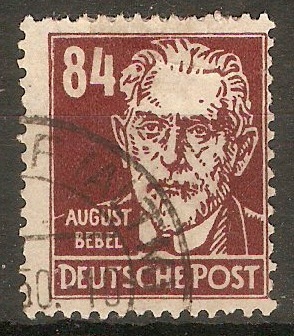 Germany 1948 84pf Red-brown - Portraits Series. SGR48. Fine used 1948 84pf Red-brown - Portraits Series. SGR48. 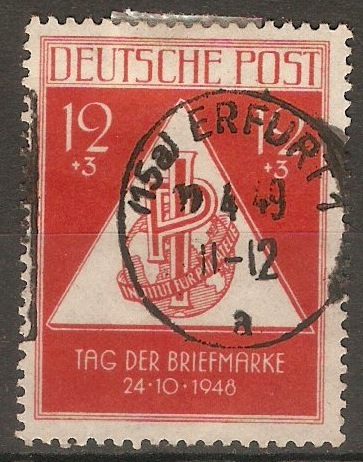 Germany 1948 12pf +3pf Vermilion - Stamp Day. SGR49. Fine used 1948 12pf +3pf Vermilion - Stamp Day. SGR49. Germany 1949 50pf +25pf Leipzig Spring Fair series. SGR52. 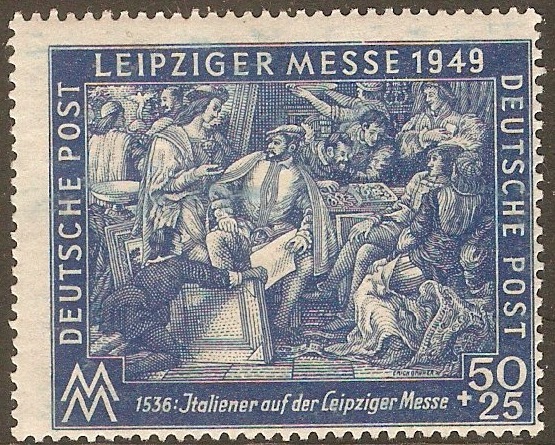 Mounted mint 1949 50pf +25pf Leipzig Spring Fair series. SGR52.